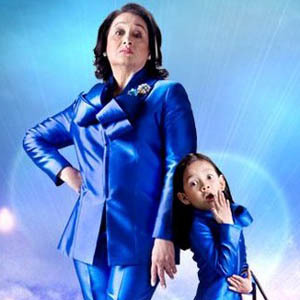 ABS-CBN is Still the Primetime Conqueror for the Month of October 2011! The Kapamilya network is still leading the Primetime in the TV rating race! It's good to know that they able to beat the rival networks either in Metro Manila, Mega Manila, or in nationwide TV rating race! ABS-CBN Corporation sweeps primetime TV viewership among Philippine households this October with an average national audience share of 42% versus GMA’s 30%, dominating four other key territories in the country, according to Kantar Media. ABS-CBN ruled the primetime block (6PM to 12MN), when viewing levels peak and advertisers make most of their ad placements, in Metro Manila with an audience share of 35% vs GMA’s 33% as well as in Balance Luzon (areas in Luzon outside Mega Manila) with 44% vs 30%. In the Visayas and Mindanao, ABS-CBN widens its lead further. 60% of Filipinos watch ABS-CBN shows in the Visayas as against only 19% who tune in to GMA. ABS-CBN’s lead further increased in Mindanao with 61% audience share vs. GMA’s 14%. ABS-CBN top caliber weekday and weekend programs as well as one-time specials and launches filled 14 out of the Top 15 most watched programs in the said month. “100 Days to Heaven” continues to be the number one program among Filipino homes in the country with an average national TV rating of 32.4%, followed by weeknight tearjerker and first advocacy series “Budoy” with 27.9%. “TV Patrol,” the country’s undisputed number one newscast, came in third place with an average TV rating of 27.1%, consistently beating rival “24 Oras,” which lagged behind at 20th spot with 18.8%. Recently concluded talent-reality show “Pilipinas Got Talent,” which had the Maasinhon Trio as its third grand winner, ended on high note with an average national TV rating of 24.5%. Its final results night garnered an average national TV rating of 32% and even trended on Twitter worldwide. 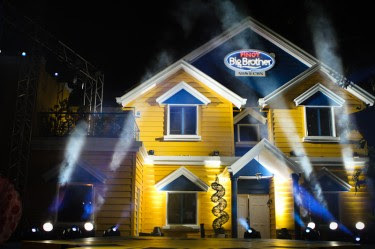 Meanwhile, Kuya’s return on television via “Pinoy Big Brother Unlimited: The Big Fiesta” also made a strong entrance to the top 10 by instantly placing 9th during its launch with an average national TV rating of 22.9%. Other Kapamilya shows in the Top 15 are “Maalaala Mo Kaya” (26.5%), “My Binondo Girl” (25.8%), “Rated K” (25.5%), “Top Rank Live” (25.4%), “Junior Masterchef Pinoy Edition” (22.7%), “Pinoy Big Brother Unlimited Weekend” (22.4%), “Wansapanataym” (22.1%), “Maria La Del Barrio” (21.2%), and “Nasaan Ka Elisa?” (21%). Kantar Media has 22 TV networks, ad agencies, and pan-regional networks subscribing to its ratings services. Among its current subscribers are ABS-CBN, NBN, Sky Cable, J. Romero and Associates, Adformatix, Starcom, OMD, PhD, Mediacom, Mindshare, MEC, Maxus, Universal McCann, and Wellmade Manufacturing Corporation. They also include pan-regional networks likes CSM Media Inc., Fox International Channels, Star HK, Discovery, AXN, HBO, MTV, and Sony Pictures Television International. ABS-CBN registered a consolidated net income of P1.7 billion in the first six months of 2011, while GMA Network reported only a P1.05 billion net income in the same period.